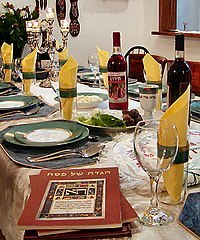 Passover Haggadah History and development of the Passover Haggadah, Explained by Eli Ha-Levi, BA, M.L.I.S. An American Haggadah in Hebrew and English, bridging the old and the new. 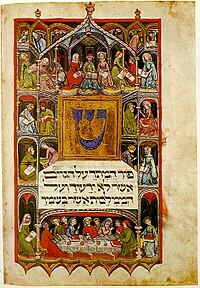 Haggadah for Passover presented by the men's club of Valley Beth Shalom, Encino, CA.